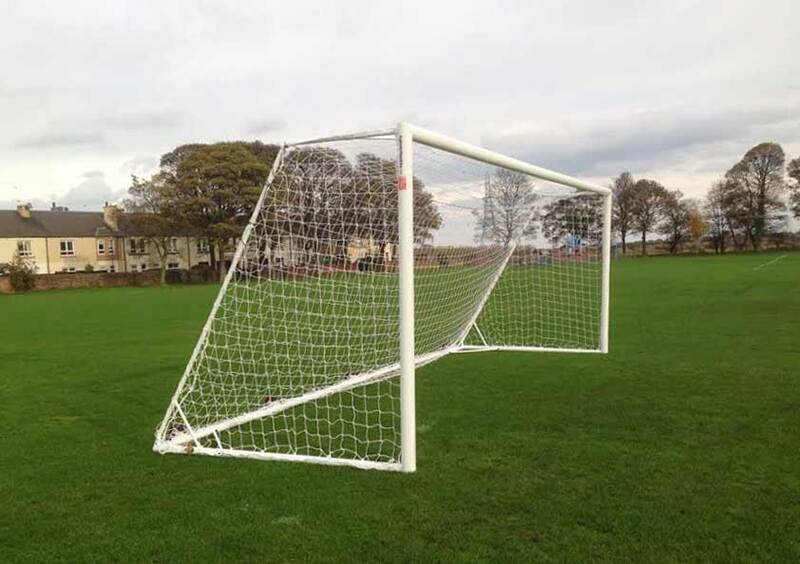 The professional Self Weighted Rollaway Goal – Mini soccer 12×6 is stronger than similar football goalposts . These roller mini soccer goals have fully welded side frames, ( that unlike bolted types, do not work apart when the goal frame is being moved around). The goalpost crossbar is also locked to the fully welded side frames providing security. 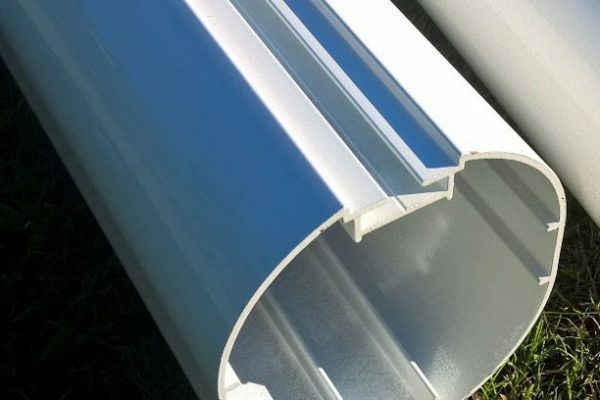 The goalposts are strengthened with additional aluminium supports. 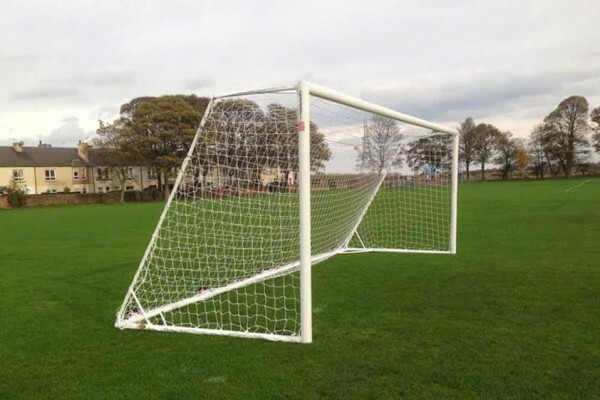 The goalposts have no internal steel brackets with bolts that need regular adjustment and tightening. They are manufactured in aluminum so are rustproof. A unique innovative design with roller wheels permanently located at the back of the goals out of the way of the players. The design is practical in that the moving parts do not encourage sand and rubber infill to penetrate the moving mechanisms as is the case with heavy rear rollers. 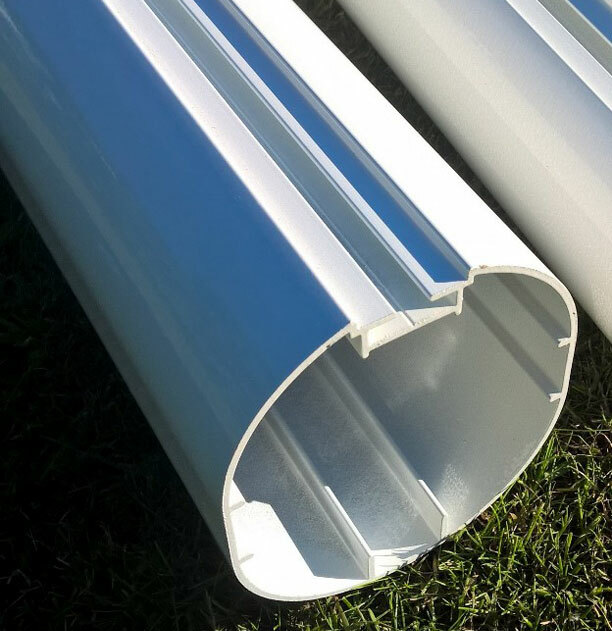 Price includes: A pair of mini soccer roller goalposts, braided knotted white goalpost nets, aluminium locking crossbars, fully welded sides, self weighted wheeled ground back bars with permanent roller wheels, net fixings, VAT. There may be a delivery surcharge on this product due to length/weight/congestion charges of the shipment depending on your delivery location. We can advise you of this prior to placing your order online, please call 0114 2424244 or email sales@itsagoal.net. Free standing, moveable, rollaway goal with roller back bar. Note how the wheels are attached to the back of the goal out of the area of play. 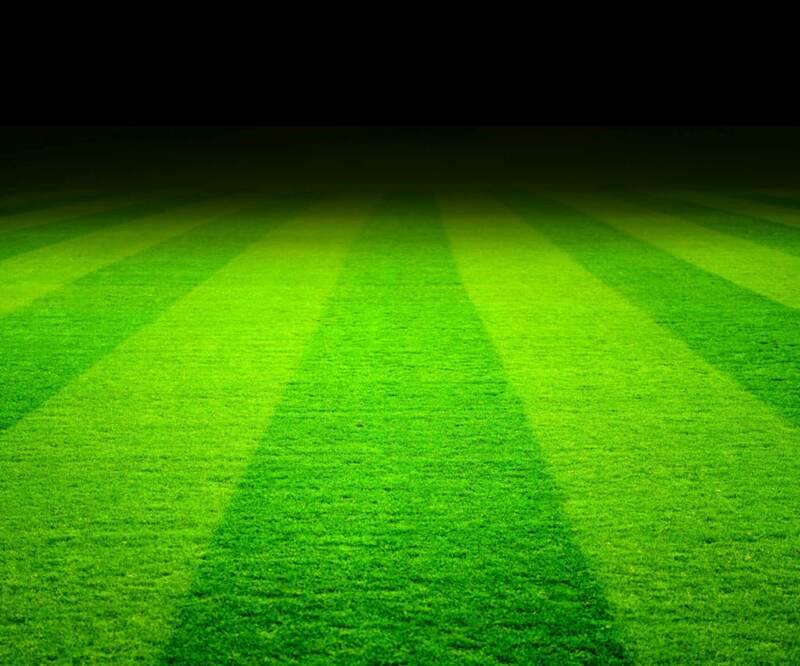 Ideal for artificial surfaces or grounds rented out to the general public. Net support stanchions in rustproof aluminum and not heavy steel. The best on line price for this Rollaway Goal – Mini soccer Goal is currently at www.soccertackle.com.